Edgar Snyder & Associates Scholarship Contest Underway sponsored by Edgar Snyder & Associates. 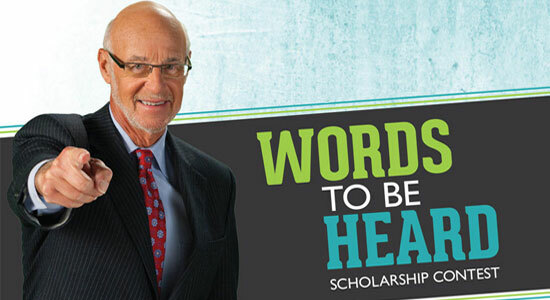 January 10, 2014, Pittsburgh, PA – Western Pennsylvania high school seniors are encouraged to enter the 8th Annual "Words to be Heard" Scholarship Contest sponsored by Edgar Snyder & Associates. The law firm, which helps injured people, is asking seniors to create programs that will prevent their peers from underage drinking, drunk driving, or distracted driving. Students can submit entries using a number of creative options, including videos, PowerPoint presentations, brochures, websites, essays, or any other approach they feel will effectively get the message across to their classmates. A panel of outside judges will review the submissions and award one grand prize scholarship of $5,000, three second place scholarships of $2,500, and three runners-up scholarships of $1,000 that will go toward the students' continued education. "At the law firm, we see the devastating aftermath of drunk driving and distracted driving accidents—that is why we spend significant resources to promote the ‘Don't Drink & Drive' and ‘Don't Text & Drive' messages," said Attorney Edgar Snyder. "What makes this program especially effective is that teens develop the messages for other teens. Sure, they know the risks and have heard the warnings from adults, but it leaves a more meaningful impact when coming from a peer." Over the past 7 years, the law firm has awarded 63 scholarships totaling over $86,000 to western Pennsylvania high school seniors. High schools seniors entering the contest must plan to attend a four-year college or university in the Summer or Fall of 2014. All submissions must be postmarked on or before March 28, 2014 to be eligible. For official rules or to request more detailed information, visit "Words to Be Heard" scholarship contest section on the Edgar Snyder & Associates website or, call Edgar Snyder & Associates at 1-800-394-3660 ext. 4412.